While cleaning the hobbits' bedroom, I found LJ's Daddy Doll under the bed. He had been missing in action and LJ was pleased to be reunited with him. It occurred to me that others may not know about Daddy Dolls and would love to have one for their little ones or themselves. 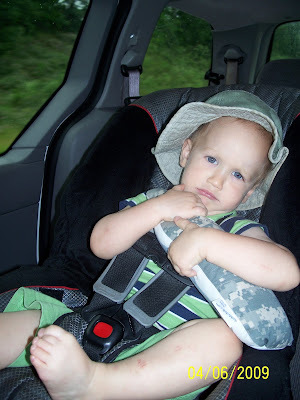 In March, 2009, Papa Bear was deployed to Afghanistan and LJ had just turned two. I was afraid that he would "forget" Daddy and wanted him to have a daily reminder of his Daddy's face. We were able to use Skype to talk to Papa Bear on the computer but that wasn't always regular or reliable. 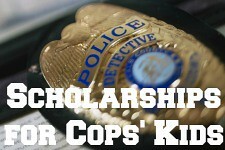 I found DaddyDolls.com and asked Papa Bear to have someone take a full-body shot of him in uniform and email it to me. Once I received it, I ordered a doll for LJ and dog tags for IB and NG. You should have seen the look on two-year old LJ's little face when the package arrived and I pulled out that doll for him. He snatched it from me and it became his favorite thing until Papa Bear came home a year later. LJ with his Daddy Doll became such a regular sight at church that if we ever left it at home, people would ask him where his Daddy Doll was. I am so thankful that Papa Bear was able to have fairly regular access to the internet and a cell phone. Many deployed soldiers aren't as fortunate. If your spouse or someone else close to you is deployed, a Daddy Doll is not just a toy, it's a physical reminder. It's something that can be held onto, hugged, talked to. There are other similar ways to keep your loved one close by, like Flat Daddy. Even if you don't have someone deployed, you can have a doll made for long-distance grandparents or other relatives. And if you don't have a use for your own Daddy Doll, you can bless a child with one by donating to Operation Hug-A-Hero. If your husband or significant other is serving overseas, please tell them "Thank you and Merry Christmas!" for us. And THANK YOU! I know the sacrifices you are making. I know how hard it is to be a "single" mom. I know the fear, the worry, the loneliness. I also know the disappointment that comes when others "forget" about you. The war has been in the headlines for so long that it's "old news" to many people. They don't understand that's it's fresh and very real for you and your family. Don't be too proud to ask for help. If someone offers to bring you dinner or watch your children so you can have a little time to yourself...let them. It will bless both of you. May God bless our soldiers and their families. May He give comfort and peace while they are separated from each other. May He protect them spiritually and physically. Note: I am not affiliated with DaddyDolls.com, I just think they are a great way to ease the stress of children being separated from their Dad or Mom.